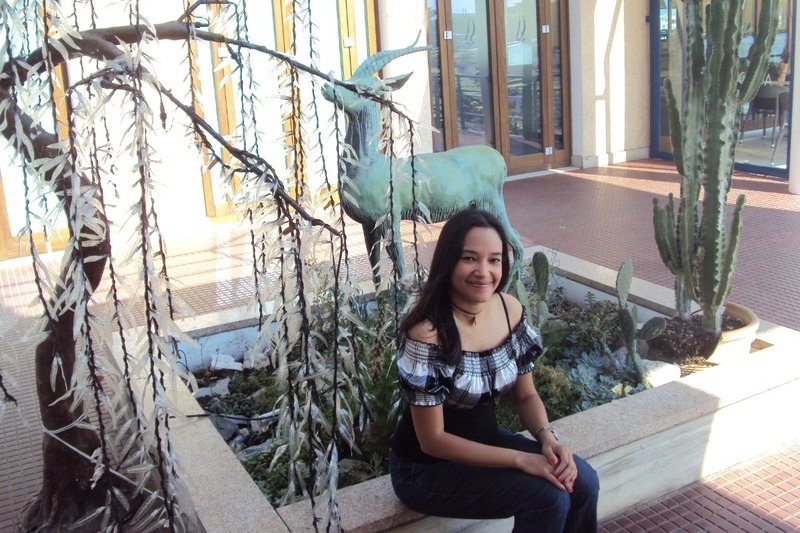 Fundraiser by Mauro E. Hoyer : Ayúdame con mi Esclerosis - Help me with my M.S. Ayúdame con mi Esclerosis - Help me with my M.S. Por este medio solicito tu valiosa colaboración ante la difícil situación médica que confronto como consecuencia de mi enfermedad. Mi nombre es Marimel Hoyer, tengo 37 años de edad, profesional de las ciencias de la comunicación, deseosa de trabajar y llevar una calidad de vida promedio. Sin embargo, desde el año 2009 se me ha diagnosticado ESCLEROSIS MÚLTIPLE, enfermedad incurable y degenerativa, la cual ha limitado mis capacidades motoras considerablemente. Actualmente camino con mucha dificultad, debo usar bastón porque tengo muy poco equilibrio y poca fuerza en mi pierna derecha. Para caminar largos trayectos, debo hacer uso de silla de ruedas, además de presentar problemas en el tronco y debilidad en el brazo y mano derecha. Me encuentro muy preocupada por mi salud, la cual cada día se ve más debilitada, no solo por las consecuencias de la enfermedad, sino por no poder cumplir con el tratamiento indicado. 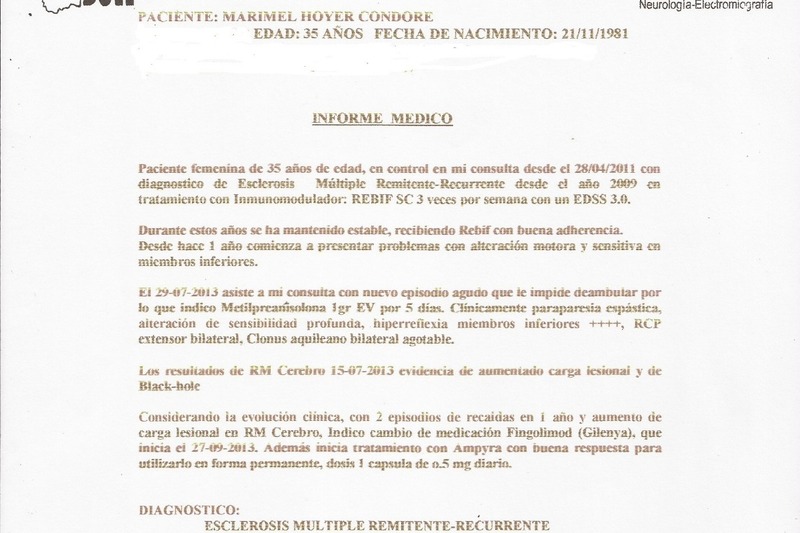 Solo deseo que mis condiciones de salud mejoren y la enfermedad no siga avanzando. Es por ello, que me veo en la necesidad de solicitar tu ayuda, ya que he tratado de contactar fundaciones y no he conseguido respuestas. Mi familia y yo estaremos altamente agradecidos por su colaboración. Nota: Debido a que con Gofundme no puedo recibir los fondos directamente en Venezuela, mi hermano que se encuentra en Francia los recibirá por mí y me hará llegar las medicinas. I would like to ask for your help with a difficult situation that I’m facing because of my illness. My name is Marimel Hoyer, I’m 37 years old, a professional in social-communication, who wishes to be able to work and carry on with the best quality of life that my illness will allow. In 2009 I was diagnosed with MULTIPLE SCLEROSIS - an incurable and degenerative illness, which has significantly limited my motor skills. Nowadays, I walk with much difficultly: I need to use a cane because I have little balance and I’m lacking strength in my right leg. 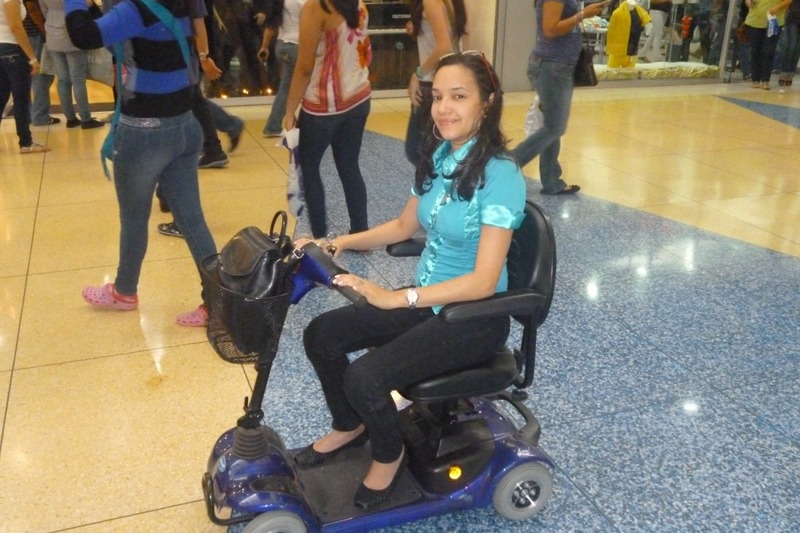 For longer distances, I need to use a wheelchair. I’m also developing problems in my torso and weakness in my right arm and hand. 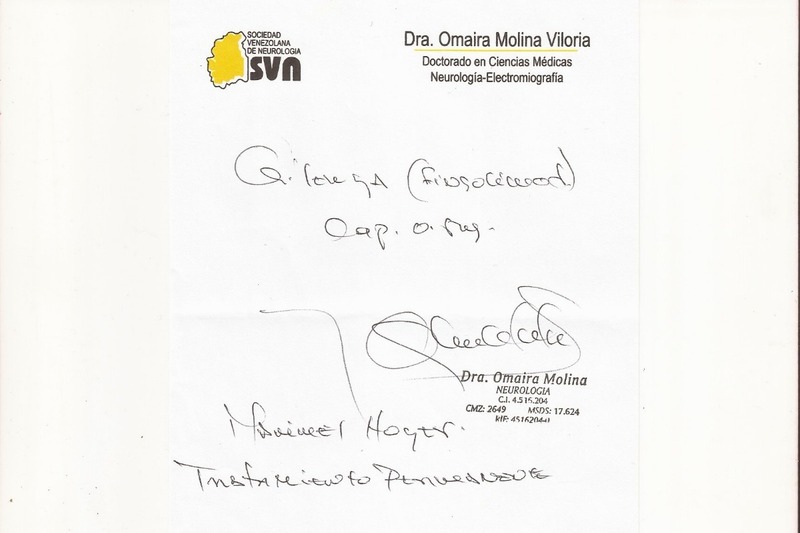 At present, my treatment is Fingolimod (Gilenya) 0.5mg (Novartis Laboratory) which slows down the illness's progress. 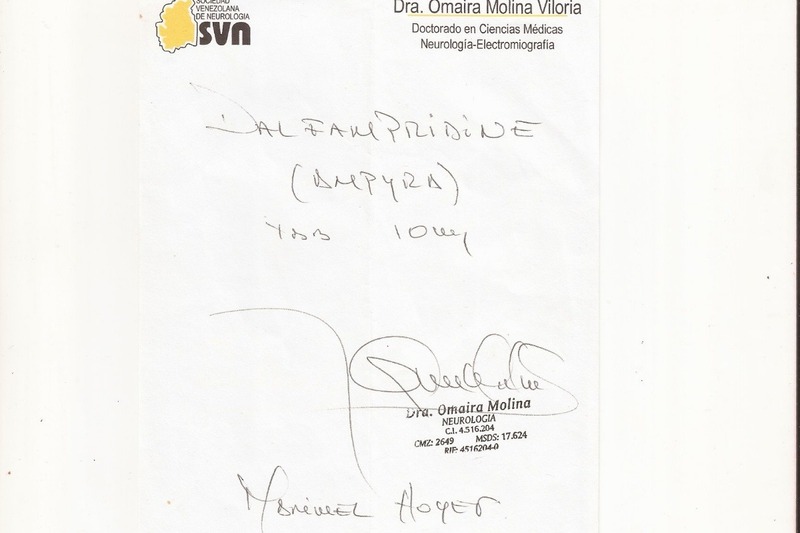 And, Ampyra (Dalfampridine) 10mg (Biogen Spain Laboratory) which helps me to mobilize better. But, as it is well known, we are in the middle of a very critical situation in Venezuela, especially in the area of health care. There is just no medicine for patients of varying illnesses, including M.S. Both medications could be found up until two years ago in some specialised pharmacies, for a very high price. However, in recent years they have not arrived into the country. Therefore, I can only purchase them abroad. This has become extremely difficult because they are very expensive and my family and I don’t have the resource needed. The cost of this medication vary from one country to the next. They’re also not that easy to acquire because it is a specific pathology. For example, in Spain a package of Gilenya with 28 pills cost 1900€. I should take one everyday. This means that this is only the treatment for one month. I also need to take some other complementary medication which is prescribed by specialised doctors, and I need to do physiotherapy on a regular and permanent bases. These are all additional expenses. I am myself very concerned about my health which is weakening day by day. This is partly a consequence of the illness, but it is greatly exacerbated by the fact that I am not able to follow the prescriped treatment. My only wish is that my health improves and that the illness won’t progress further. That’s why I find myself needing to ask for your help. I have contacted many foundations and ONG’s but I am yet to receive a single reply. My family and I will be forever grateful for any contribution that you can make. 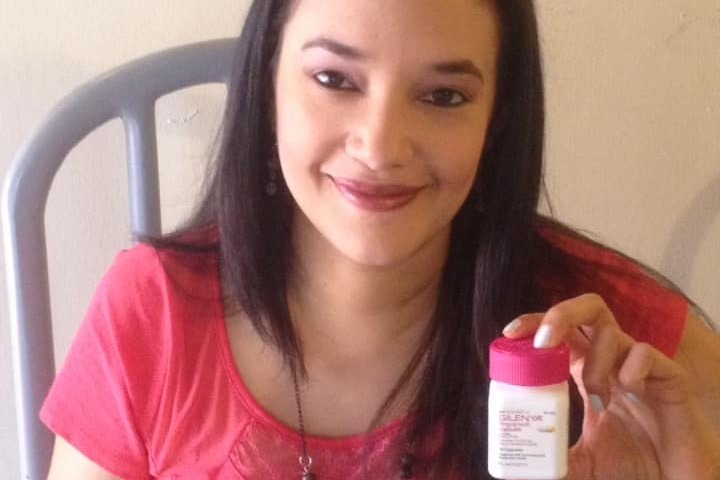 Please note: given that I’m in Venezuela and unable to receive funds directly here, donations will go to an account in France, to my brother, who will purchase the medications and send them to me.